hoteldirektor job in bayern gesucht Recently, some of you may have seen an excellent article posted in the ‘Society’ section of this site that discussed issues with the hagwon system in Korea (rood zwart band racefiets see Illegal Tutoring, Millionaire Instructors, and Bad Reputations: The Real Cost of Korean Hagwons, Jan. 4, 2014). Many of my friends back in Korea have been dealing with an increasing number of problems with the hagwon system, and they largely blame it on the steady rise in the sheer numbers of expat teachers these businesses have to choose from: a wider selection of available teachers means fewer benefits from the schools. More and more westerners in Korea (and elsewhere) have been asking, “What else is available to me as an expatriated English teacher?” Well, have you considered Oman? http://nopresent.space/2018/10 hugo boss golf Yes, hot, lovely, friendly, warm in the winter, Death-Valley hot in the summer, Muslim, hot, on-the-grow Oman! More and more people are hearing of this second-world oven-roasting paradise for the expat EFL teacher. And remember: Second-world just means “transitioning to first-world”! Indeed, Oman has made tremendous strides in just the last few years alone. And so many of my friends have been asking me of late: “Hey – what’s the deal with Oman?” Well, let me give you a brief overview, and hopefully dispel a few myths. ralp lauren crop top go Oman is a Muslim country, but not all Muslim countries are the same. Most people ask me “How can you live somewhere where you can’t drink? !” The answer is simple: I can’t. Well, I ford dcu 101 p1293 go could, but I don’t want to. Alcohol is legal in Oman, and drinking it is also legal. The tourism business here is booming, and the seaside resorts all cater to people from around the world, mostly Germany and France. You can head out to any one of the resorts in the capital city of Muscat (Qurum Beach is beautiful and lousy with such resorts), or, if you are like me and stuck in a more… rustic environment, you can head out to the more remote resorts, like the Millennium Hotel, located about forty minutes away by car from al-Rustaq, which is a good hour-and-a-half outside of Muscat. Whichever resort you choose, you will be offered a wide selection of wines, beers, and cocktails, along with some first-rate cuisine and some amazing scenery. If you want to enjoy more that these resorts have to offer (swimming pools, snorkeling, SCUBA diving, boat trips, jet skis, etc.) you can acquire a day pass. Prices range from 10 to 30 rial ($25-$75) a day, depending on which activities you care to enjoy. itime hcl app If that seems expensive, remember: The rial is a hard-hitting currency, and one rial is equal to about USD$2.60 these days. If you transfer money back home, it looks a lot better in your bank account than some currencies I could mention. And to ice the cake, Oman is tax-free! They pay what they say, and they pay on time. http://highnation.xyz/2018/10 garfunkel and oates the bj song In Muscat, these resorts often have nightclubs. The most popular are located in Qurum beach: Rock Bottom is one popular place, styled after their vision of an American “biker” bar (they have pictures of Harley Davidsons all over and a wooden Native American (PC) by the entrance. One side of the bar has tables and a pool room, the other side is the dance floor. Another pub is located in the lobby of the beautiful Intercontinental Hotel, and right next door to that is Trader Vic’s (I hear that is mostly salsa dancing, if that’s what you’re into). Want something a little seedier? Then Club Safari by the Hyatt is the place for you. Loaded with more co-ed mingling than any other place I have been to in Oman. But watch out, fellas: The hookers abound! Enough said about that. While drinking is legal in Oman (many of the Omanis will hoist a pint or six with you), it is important to remember that it IS a Muslim country and public drunkenness is not well-tolerated. You can be drunk, of course, but you can’t run around like a maniac. Disruptive behavior whilst in a drunken state will land you in jail for 48 hours, and it could result in your immediate dismissal from your job. Driving drunk is even more frowned upon, so drink – but be responsible in public. Never forget where you are. That’s just good advice wherever you are. Generally, people like to drink at home. The night clubs and hotels are a special occasion, once-a-month kind of thing. However, to buy your own hooch, you will need a liquor license. These can be obtained with paperwork from your employer after your first three months. You get a little booklet in which the purveyor of fine liquors will mark the amount and date of your alcohol purchases. You are limited to anywhere from 60 to 100 rial a month, depending on the type of license you wish to purchase. During your first three months, other people will usually volunteer to pick up your alcohol for you… or, if you feel daring, you can sometimes find a black market connection. Several people outside of Muscat do this, and they even deliver! Just keep it on the DL. And remember: You do not need a license to drink in the clubs and resorts. First, I mentioned the ladies. Many women worry about coming to a Muslim country. Will they have to wear the hijab? Will they have to defer to men? Is it safe to leave the house alone? You will be happy to know that Oman is very Western in its views of women. You can dress how you like (I recently learned that the hijab is a fashion CHOICE of the Omani women), you do not have to defer to the men-folk, and you can go anywhere you like unattended (except into the men’s restrooms and the men’s mosque). In hospitals and clinics, women and men sit in separate waiting rooms, so there is some division. In the classrooms, male and female students sit on different sides and are they cute to watch! So shy and awkward around each other. Still, err on the side of caution. If you are a female and you are out alone, you may get hit on relentlessly. It may be cute at first, but situations have been known to turn ugly. Just be smart and you’ll be OK. On the whole, the Omani people are some of the kindest and friendliest I have ever met. They stop to help strangers who have car trouble on the road, and will offer rides to people who need one. They won’t cut in front of you in line, and they will always smile and ask how you are doing. One guy at the bank even wished me a Merry Christmas this year. Which brings us to religion. Ah, religion. Religion, religion, religion… Well, I’ve said enough. I will add that the Sultan himself (a great guy by the name of Qaboos) has done a lot for this country during his reign. He has built hundreds of schools and colleges, greatly improved the roads and highway system, built a beautiful opera house where you can go see some amazing operas – he even brought Tom Jones here to sing for everybody. And he donated his own personal lands for the construction of churches and synagogues. If you have a favorite deity, feel free to sport the accoutrements of your faith. In Saudi Arabia, you’ll get slapped around for wearing a cross on the outside of your clothing. Here, someone may buy you a beer. Or not. Either way, they don’t care what religion you are. If you are Muslim, they really like that, but if not, that’s OK, too. Let’s see… I’ve covered booze, cars, and women, and even dabbled in religion. I feel I have covered the important stuff. What else is there? Oh yes! The JOBS. The jobs vary, as they do everywhere. There isn’t much of a private “hagwon” school scene here. Most of the jobs are through TATI-Oman (Technical & Administrative Training Institute) or the Ministry of Higher Education. There are private recruiters (I am with a company called Hawthorn-Muscat and they have been good to me). You can even work for the military, teaching young recruits how to communicate with their English-speaking counterparts. Depending on how much work you want to do versus how much you are willing to take in your paycheck, you can find a good fit if you look around a bit. I was referred to my current school by a friend who came here from Korea back in 2010. He has since gone home and I have taken his place. From people I have spoken to, the military jobs in Muscat pay the best – at least 1300 rial a month – but the work is taxing and the hours are long. If you have a Master’s degree or a reputable TESL/TEFL certification, you can make around 1000 rial a month in one of the Colleges of Applied Science. The work load is light, but you might have to adjust to life in the outlands, like where I am. Whether in Ibri or Nizwa or Rustaq or Suhr or whatever, odds are you will be a good two hours outside of Muscat. There is no real public transportation here, but if you can haggle (and you don’t mind sharing a cab with some Indian fellows) you can get a pretty good deal on a ride into the big city every once in a while. Treat it like a vacation! Check into a hotel and stay the weekend. 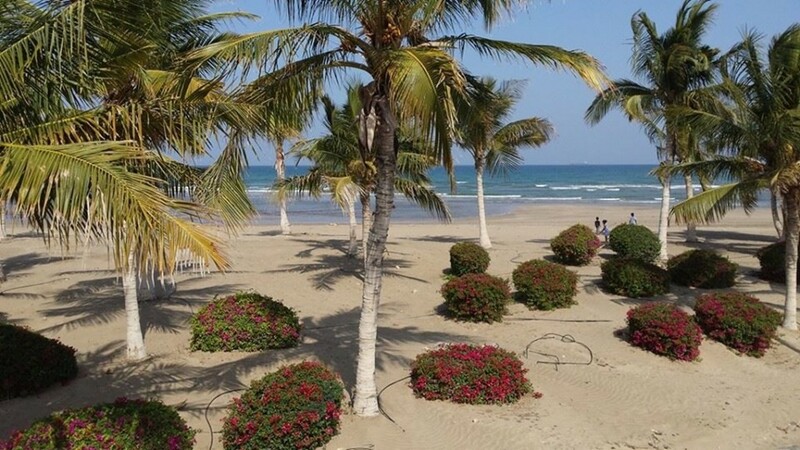 You can get rooms on Qurum Beach starting at around 40 rial a night. Split the cost with some friends and have some fun. It is kind of nice to be able to hit a gorgeous beach and have a few cocktails by the pool every few weeks. The weekends here are Friday and Saturday, and you work from Sunday to Thursday (but there are a LOT of holidays in the fall, a mid-semester break, and everyone gets July and August off with pay… most likely due to the heat). As for other details, some jobs provide housing and utilities (like mine) and others – mostly Ministry jobs – give you a stipend to get a place you like. Everyone has air conditioning. You would die without it. The employers are largely reliable and honest (I have heard of complaints about incompetency, but never about treatment), and the students are respectable and nice… although some are pretty rough around the edges and are very low-level. Some final details: Shopping is great. Visit the Souks (markets) for all your touristy and traditional Omani needs. You can visit the malls at Seeb City Center or the Grand Mall near Qurum if you want to get back to western consumerism a bit. Muscat has movie theaters where you can see the latest Western films and Bollywood fare (if you’re into that) but some scenes may be edited for content. Most foreigners here rely on the internet for entertainment – and yes, the internet is good. They have made huge improvements in just the last year. It is fast, reliable, and Wi-Fi-ready, all for around 20 rial a month. In closing, before I paint an all-rosy picture of life in Oman, I would be amiss if I did not say that it is an adjustment. Despite all the exploring there is to do, life here can be pretty boring. And it is hot… the heat alone made me want to get right back on the plane and go home when I first got here. That was in August. The winter here (November to February) is lovely. Now March is creeping in and with it, the heat. The unholy HEAT. Imagine setting your oven to BROIL, climbing inside and shutting the door behind you. Bring sun block and loose-fitting, light clothing. I am told it takes a year for your body to adjust to the heat. I am from Pittsburgh. I don’t like heat. Most of the water here comes from tanks up on the roofs of the buildings, and in the summer you can get two temperatures: Warm and scalding-hot. 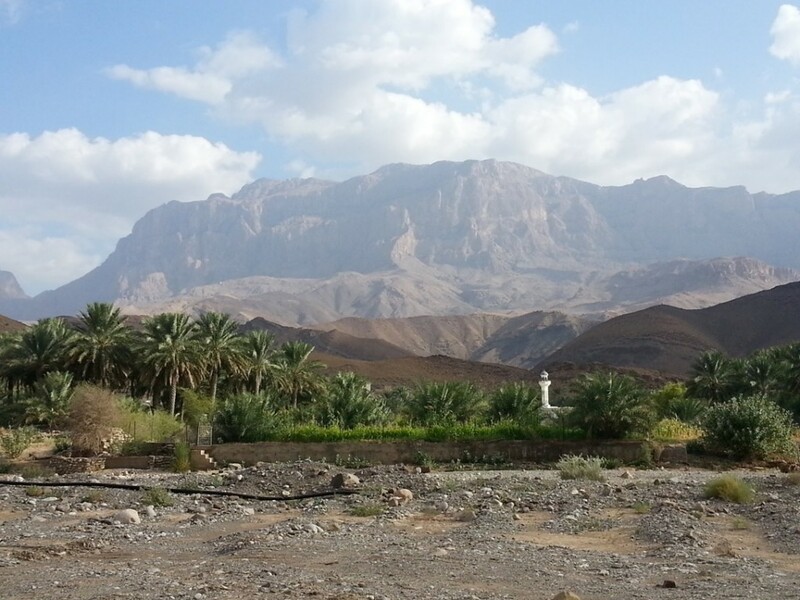 There is relief, however – the wadis (I told you I’d have more on these later). The wadis are deep valleys between the majestic mountains of Oman, and they are sometimes filled with natural pools up in the hills. It may take a rugged vehicle to get to the best of them (if you don’t have one you will make friends who do), but when you do… beauty. There’s no other way to describe it. Most have more fun swimming in the wadis, sitting ‘round campfires and sleeping under the stars than they do at the resorts. 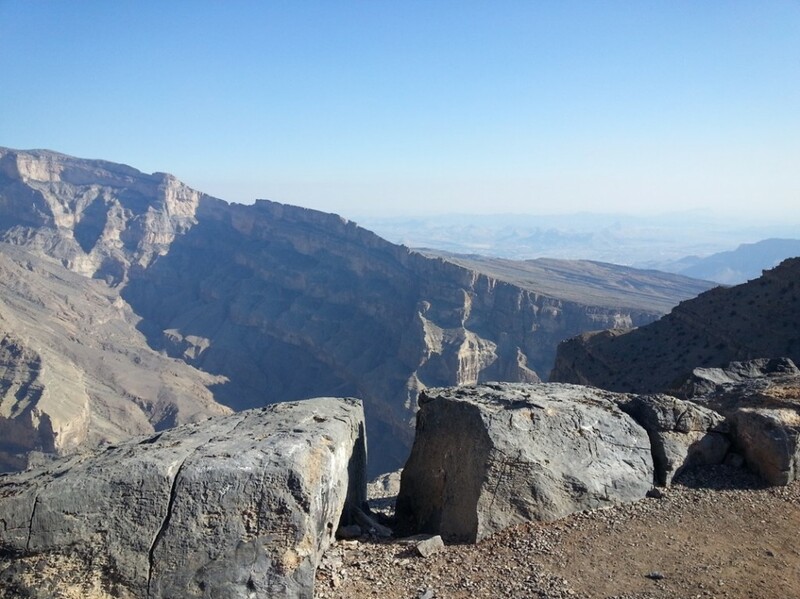 And in the mountains and deserts, there are lots of natural and Omani-made wonders to see: Forts and castles over a thousand years old; the Beehive Tombs; a massive canyon out by Jebel-Shams that gives the Grand Canyon a run for its money. And down by the sea, there is even more, including traditional wooden-ship building yards that look like a scene out of the Bible. And everywhere, friendly people: Omanis and other foreigners like yourself. And lots of camels and goats. In short, there is a lot to discover on this little edge of the Arabian Peninsula… IF you can survive the heat. Have an interview in a few hours with the company you mentioned so great to get this info just before! Thanks for sharing! 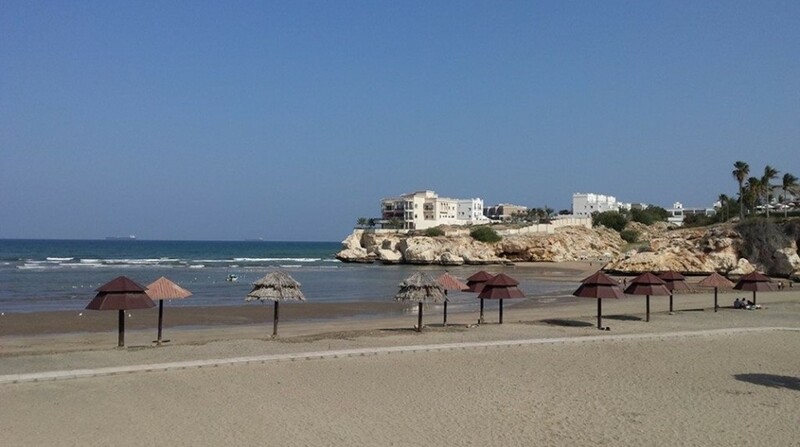 I’ve shared your article with a few friends and it has opened their eyes and minds to visiting Oman! 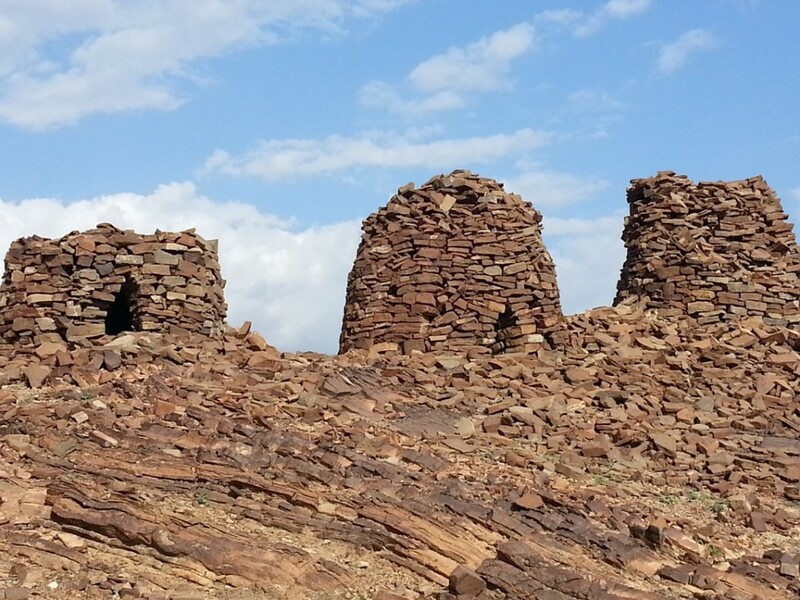 There are so many interesting and surprising things to learn about Oman and it’s surroundings! Matt it was a blast chatting with you. 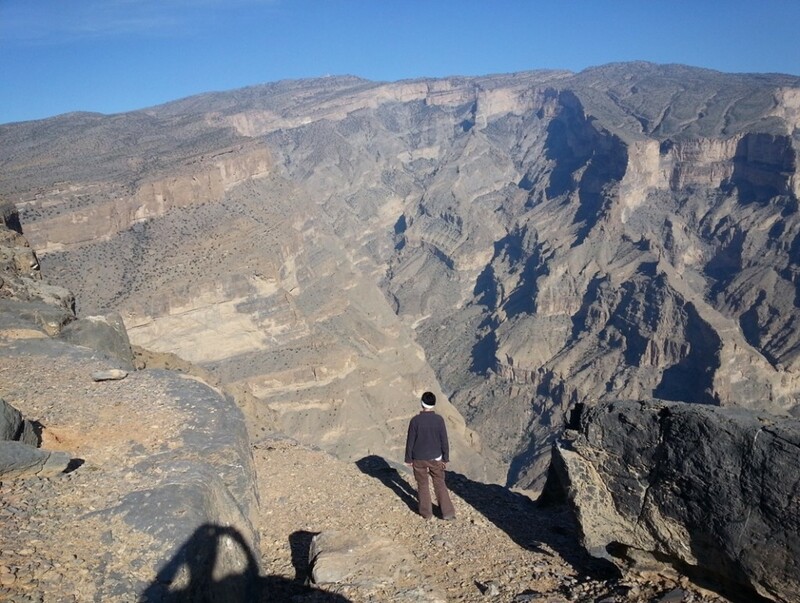 Adventures in Oman part 2… coming soon! !